lavender collagen mask | Badudets Everything Nice! I’m on an anything-beauty-related-buying-mode lately, blame it to Etude House hehe. I don’t hoard make-ups though, more on skin care like facial masks, organic soaps, BB creams, hair products and also perfumes and fragrances. A recent visit to Watsons at Mall of Asia made me discover that there are already a lot of facial masks available, mostly made from Korea, this is facial lovin’. The most talked about brand in Femalenetwork.com is Purederm so I looked for the Strawberry Yogurt Pack, unfortunately they don’t have stocks. 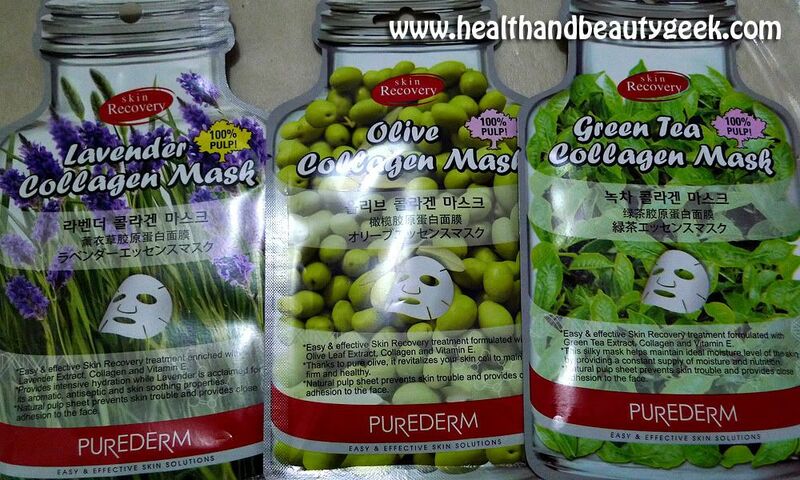 I decided to sample other sheet masks and wash-off masks also from Purederm.